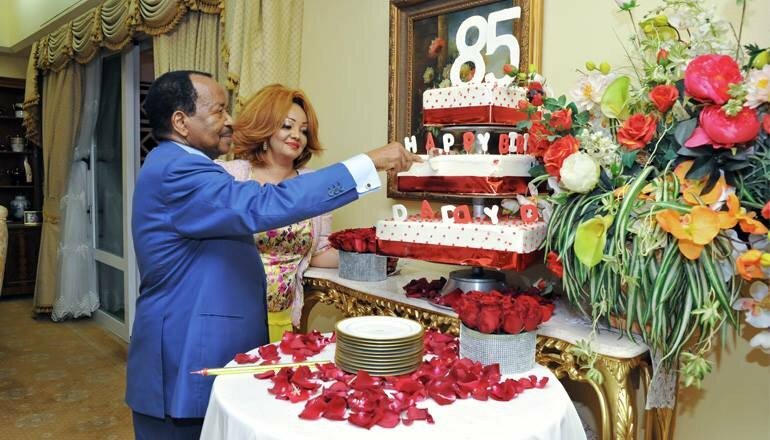 President Paul Biya of Cameroon celebrated his 85th birthday today February 13th. Himself and his beautiful wife, Chantal, are pictured above cutting his birthday cake. Biya has been in power for 35 years. He became president in 1982.